Guests looking to recharge their phones and other devices are now able to pick up a portable charging battery in several locations at Disney Springs. 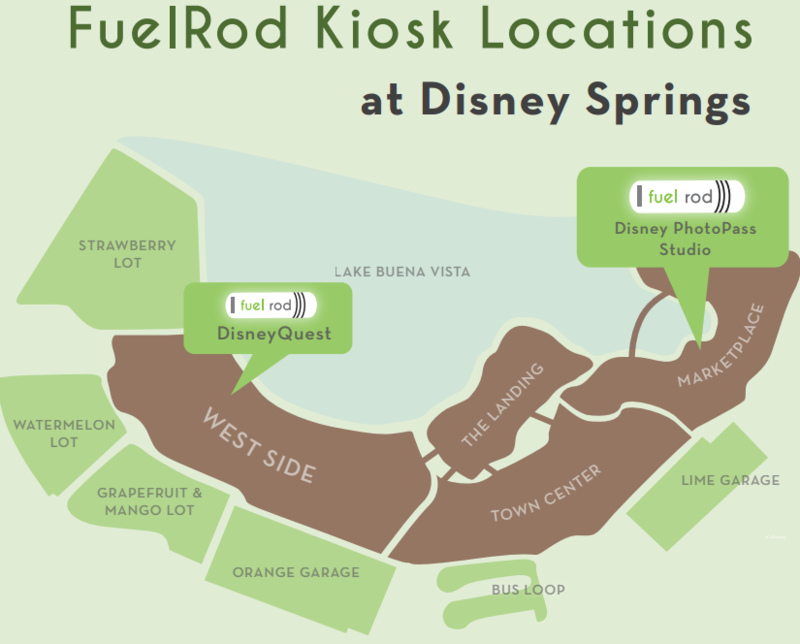 Fuel Rod kiosks are located at the Disney PhotoPass studio (in the Marketplace area) and at DisneyQuest. Each battery comes with a set of USB cables able to charge a Guest's mobile phone, tablet or other device. Once Guests purchase a Fuel Rod, they will be able to swap it at any kiosk (even outside the Walt Disney World Resort) for a fully charged battery. Picked up one of these a few weekends ago and it is indeed a lifesaver when it comes to always having a fully charged iPhone! A few friends said they would not purchase one because you could not use it outside of the park WRONG. You can charge it at home with the MICRO USB cable that it comes with just like any other power stick you'd buy. $30 is a great price and even better when you can discard the dead one in the machine and get a fully charged unit with ZERO effort!